You may have noticed our update has changed its name from the LipSync Update to the Makers Making Change Update. We feel using the name of the initiative (instead of the project) encompasses the breadth of our work better. We have two major pieces of news to share to share today: Government of Canada funding and the new Makers Making Change website. On Global Accessibility Awareness Day, the Government of Canada stated its commitment to help more Canadians with disabilities participate in the digital economy. 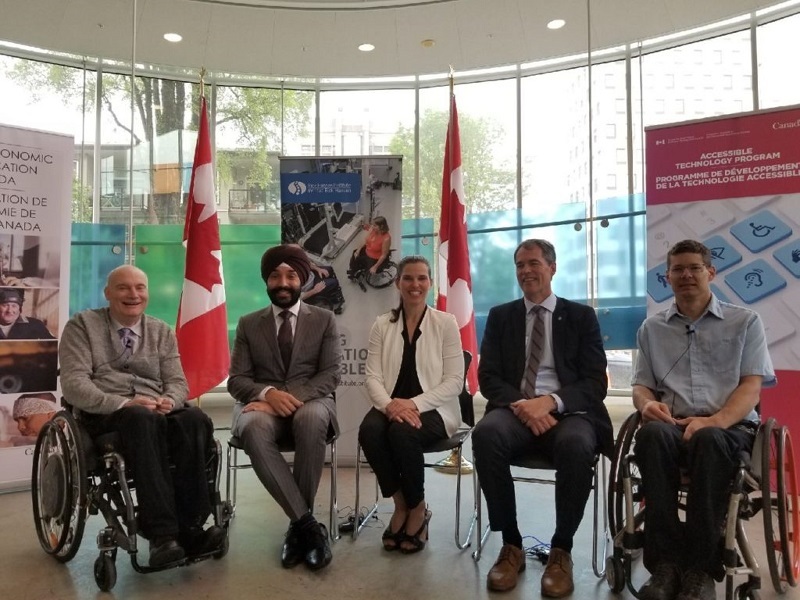 More than $3 million in funding for the Makers Making Change initiative was announced by the Honourable Navdeep Bains, Minister of Innovation, Science and Economic Development, and the Honourable Kirsty Duncan, Minister of Science and Minister of Sport and Persons with Disabilities. We are thrilled to officially invite you to our shiny new website: www.makersmakingchange.com (new window). Our goal was to facilitate more community level collaboration, which is why the homepage will greet you with a feature allowing you to search for makers, project requests, or events in your area. If you navigate to the Projects (new window) section of the website, you’ll find some projects uploaded by makers and marked as ideas, prototypes, or complete. You can contribute your skills to work on projects in progress. If you have a disability and feel a certain project will improve your life, you can request a build. Our hope is that more people sign up and share projects that can help people with disabilities. We encourage you to spend some time on the website, browse projects, and connect with some amazing people.